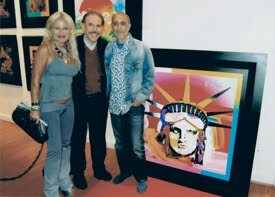 Born PETER MAX FINKLESTEIN in Berlin, Germany on October 19th, 1937, Peter's parents were JACOB, born in Poland and SALA in Germany. 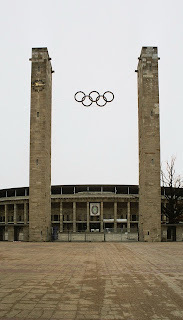 The year before Peter was born, The 1936 Berlin Summer Olympics took place, also known as the Games of the XI Olympiad, it was an international multi-sport event. 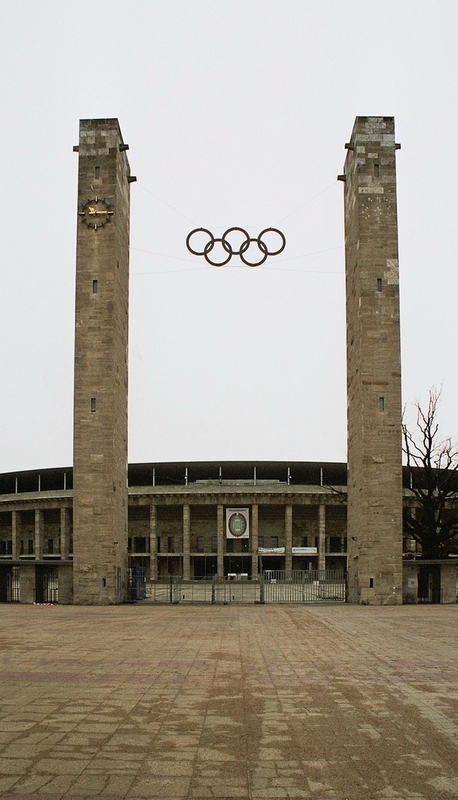 Berlin won the bid to host these Games in 1931, two years before the Nazis came to power and during which events, the American Jesse Owens won four gold medals. His father Jacob was then a pearl merchant. By 1936, Germany’s Jews and other minorities had been stripped of their civil rights, even their citizenship, and the Nazi regime had already opened its first concentration camps. An in this same city where Marsden Hartley had the inspiration for his First World War "Elegies" in 1914 (project further enhanced by Robert Indiana in 1991), a city that by all standards of early XXth century was advanced and liberal, A year later and for more than one obvious reason - including perhaps the infamous pogrom and the series of attacks against Jews throughout Nazi Germany as well as parts of Austria on November 9–10, 1938 -, PETER's parents must have decided that to remain in Germany being a Jewish family, would have been catastrophic so they moved to Shanghai, China. At the beginning, It was unclear to me the motive of why many Jewish families of German origin moved to Shanghai of all places, in those crucial years of social unrest and political instability in the Teutonic country and part of Europe. IN this book, I will provide more than usual information on these 10 years period of Peter because it came as a shock to me the whole meaning of this abrupt change in the life of his family and himself, an although he was very young, I am sure he eventually came to grasp this crude reality of what his parents Sala and Jacob had to endure before finally reaching a full stable and safe environment in America. Also, I want to use this chapter as a humble recognition to all my Jewish friends, many of whom I share personal close relationship such as Dr,William Abramovits in Dallas Texas, Dr. Daniel Gelrud in Miami, Benjamin Grynbaum , Carlos Brender and Roberto Cohen in Venezuela. To them, a small token of appreciation for the meaning of the Hebrew nation endurance, perseverance and important participation on the global progress of Civilization as we know it. 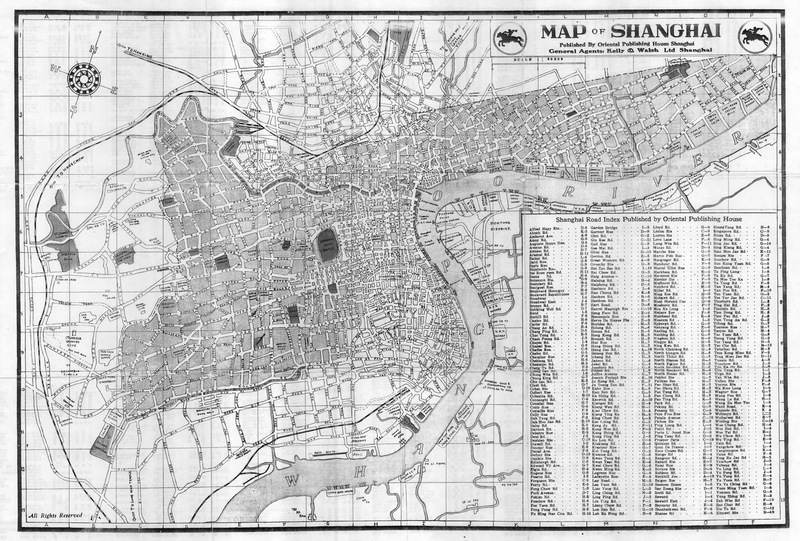 When I started deepening my knowledge on PETER's history, I wondered continuously why did a Jewish European (Ashkenazi) family move to such a different environment as Shangai, and I eventually found out the fundamental reason when I bumped into "the Ghosts of Shangai" by Ron Gluckman http://www.gluckman.com/ShanghaiJewsChina.html, and while reading this excellent historic article, the enigmas was rapidly elucidated. n his own words, Gluckman mentions, " A half century ago, they inhabited an intriguing corner of China: Shanghai's boisterous Jewish ghetto. Viennese gentlemen sipped coffee outside Austrian bakeries so authentic that the neighborhood was called Little Vienna. Nearby were kosher butcher shops and German delicatessens. Diners read Shanghai papers printed in German, Polish, even Yiddish. Candles for Jewish holidays were sold nearby at Abraham's Dry Goods, and the tango was danced nightly at Max Sperber's Silk Hat. A unique Jewish community once thrived in Shanghai, where Jews had worked since the opening of China's largest treaty port in 1842. A century later, European Jews fleeing Adolf Hitler poured into Shanghai where, even among the large international settlements, they stood out, a distinct community with its own hospitals, theaters, schools and sports leagues. Life wasn't always jolly, of course. Jewish refugees were later herded into Hongkou ghetto in the city's northeast, where food was scarce and disease rampant. But in Shanghai, unlike much of the world, nearly all the Jews survived the war". 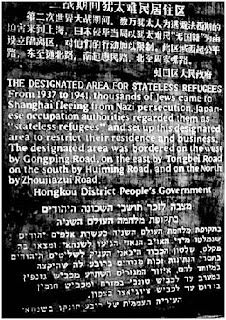 (Plaque marking the borders of the Jewish Ghetto, defined as Stateless Refugees). 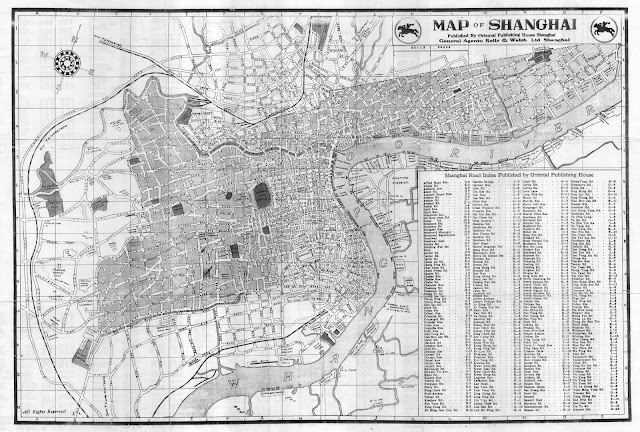 Thomas Crampton of Social Media in China and across Asia, also mentioned: " of The Municipal Council’s map, issued for visitors to Shanghai in 1935, shows a city that had grown up in the previous 20 years — by 1935 the Bund was formed pretty much as we know it today and the International Concession reached out past the race course, now People’s Square. One interesting thing to note is that when supposed old hands in Shanghai tell you Pudong was nothing but fields and farms when they came here, you’ll know they are bullshitting —Pudong was a thriving factory area then around what is now Lujiazui". 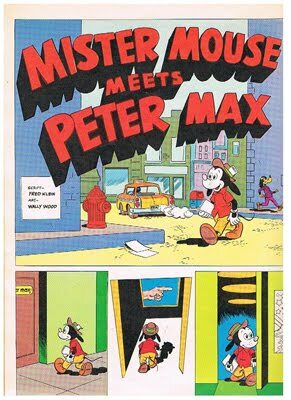 with this accurate description of the Ghetto and its surroundings, it's easily understandable the coherent option of Mr. and Mrs. Max of moving there before risking small Peter's and their own lives. They remained in Shanghai until 1947 and a year in Tibet, when again, for political reasons and internal social unrest, they had to move. "Shanghai, a port city in the Kiangsu province in Eastern China, opened to foreign trade in 1842. 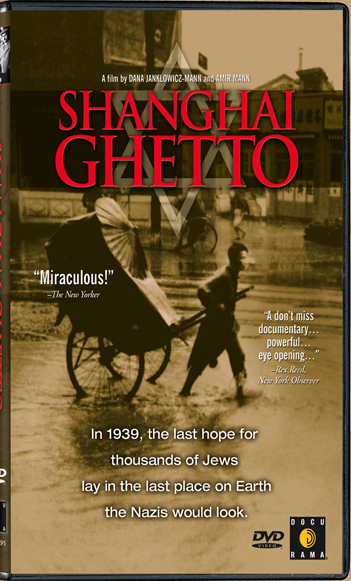 Subsequently, the city of Shanghai absorbed many of the Ashkenazi émigrés fleeing repression in Eastern Europe. Russian Jews fleeing persecution and massacres under the Tsar also emigrated and built the Ohel Moishe Synagogue in Shanghai in 1907. But the majority of the Shanghai Jewish population was Sephardim from Baghdad, Bombay, and Cairo, including the wealthy families Sassoon, Kadoorie, Hardoon, Ezra, Shamoon, and Baroukh. These families raised the Jewish population of Shanghai to approximately 700, including 400 Sephardim, 250 Europeans, and 50 Americans. Most of them were merchants, although some were in medicine, teaching, and diplomatic service. as remnants of the Mir and Slobodka Lithuanian yeshivot (Jewish religious schools), found refuge in Shanghai, which became a frequent destination because the free port did not require visas. Between 1904 and 1939, three synagogues were built in Shanghai, and 12 Jewish magazines in English, German, and Russian were established and published there. A Hebrew newspaper was also published as early as 1904. The leading magazine, Israel’s Messenger, was a Zionist monthly founded in 1904 by N. E. B. Ezra and published until his death in 1936. "I LOVED this museum! It was only two rooms plus the synagogue, but I spent more time here then at the entire Shanghai Museum. This was probably because I was taking pictures of every artifact as I planning lessons (whole units, actually) for my non-existent students. I am really going to miss teaching next year. 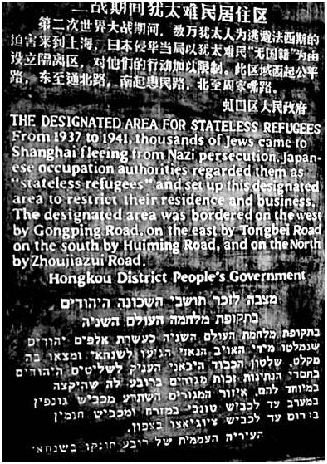 Unbeknownst to me, as the rest of the world was shutting its doors to Jewish immigration during the 1930’s Shanghai became one of the few places where fleeing Jews could go. The Chinese explanation on this is that the Chinese people/government is just that much more caring than the rest of the world. However, I suspect that the lack of visa regulations and laws in Shanghai (which was an international city at the time) might have a little do to with things as well. 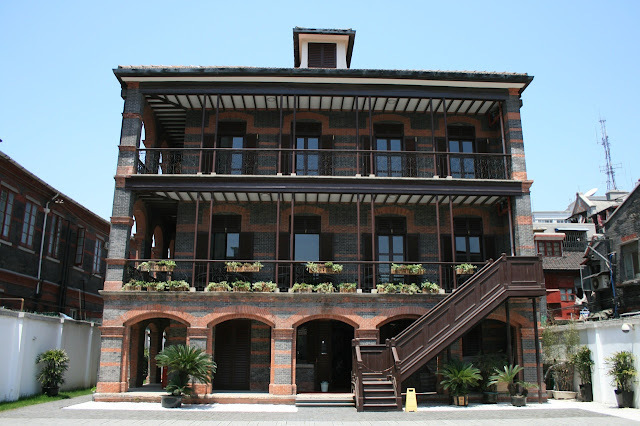 Jewish refugees congregated near what is today the museum and built a life of sorts in Shanghai. The museum houses many of their stories and artifacts. Inside the synagogue is a database of the Jewish refugees and a continuously running TV program (one hour long) about some of the Jews that have returned to Shanghai for nostalgic purposes. The Jewish Refugees Museum and Synagogue entrance is 50 yuan. It is open daily from 9-5. They have free tours every 45 minutes, which seemed a little unnecessary since I was one of three patrons and everything was in English. The museum is at 62 Changyang Road. Take metro line 4 to the Dalian road station and head east for about three blocks. You can check out Huoshan Park on your way there, also a Jewish site. I didn’t linger due to the thunder, lightening, and rain pouring sideways, but it looked nice". Jenna's accurate depiction of the historic environment surrounding the museum and the people that participated in the creation of the moment, is very specific and detailed. 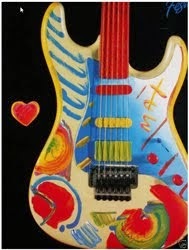 I am curious to know if PETER MAX has ever returned there. In 2002, Dana Janklowicz & Amir Mann, directed an astounding film recreating the instances and life of this very dramatic period of the life of many a Jewish family fleeing from Nazi Germany. The film was brilliantly narrated by Martin Landau, and it recalls this true story of thousands of European Jews who where denied entry authorization in more than one country in the late 1930s, and ended in this uncommon Asian city under the control of Japan at that time. Most probably it was not the perfect environment for them and their families, but provided some sense of safety. The directors spent time in today's Shanghai Ghetto remains, provided many images and interviewed survivors of this yet another example of the crudeness of the persecution that the Jewish people had to endure during the Second World war. This film is a crude narrative of the ordeal these Jewish families where subject to, and probably, although not expressly mentioned in the film, the MAXES were among them, since it is known that Peter's father did operate a clothing business in the area. Obviously, the boy must have had a great influence during these first 10 years of life, while being artistically stimulated by Sala, his mother who provided the supplies and helped Peter to explore the richness of the Asian culture, architecture and history. THE PAGODA MYTH OR REAL INFLUENCE? Part of the biography mentioned on www.aejv.com includes, "He lived in a pagoda style house situated amidst a Buddhist monastery, a Sikh temple and a Viennese cafe.". 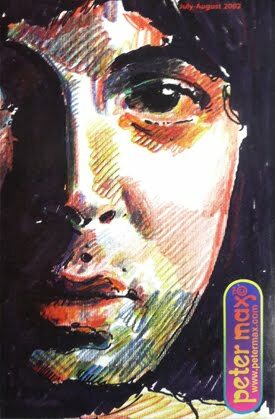 Visonart.com mentions " Max’s rise to prominence as an American icon actually began in his childhood home in Shanghai— a pagoda house, where on one side there was a Buddhist monastery, and on the other, a Sikh temple. In the morning he would watch the Buddhist monks painting Chinese characters on vast sheets of rice paper with large bamboo brushes and at night, he would listen to the beautifully sung prayers of the Sikhs". In more than one biography of PETER MAX, it is mentioned either that he lived in a Pagoda during his Shanghai days, or that his home looked to one. According to experts and regular visitors of that city, there were either no pagodas in the Jewish Ghetto, or very few to be found (7) in all Shanghai, hence, this concept could be a Public Relation's romantic creation to enhance Peter's mystic origins or a mere mistake derived by so many years of biographies and interviews. 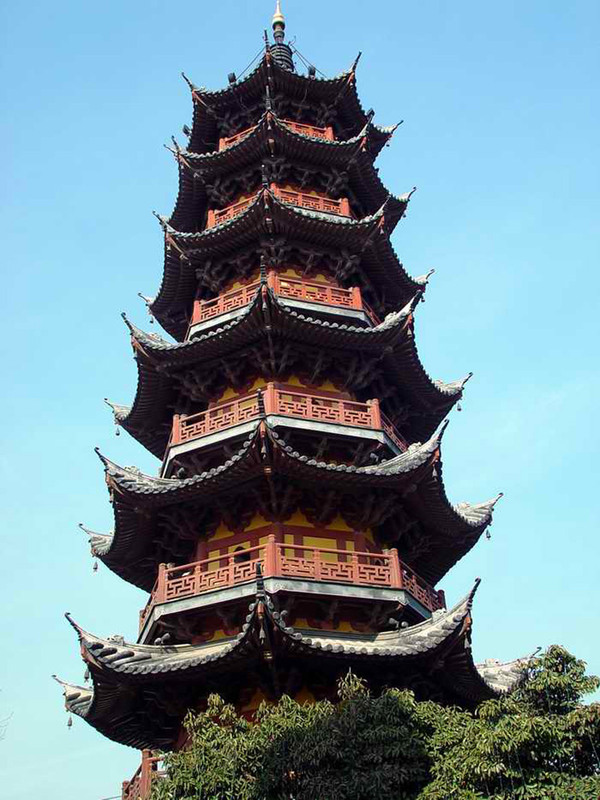 The Longhua Pagoda is the only remaining pre-modern pagoda in Shanghai city. It has an octagonal floor layout. The size of the seven stories decreases from the bottom to the top. The pagoda consists of a hollow, tube-like brick core surrounded by a wooden staircase. On the outside, it is decorated with balconies, banisters, and upturned eaves. These outer decorations have been reconstructed in keeping with the original style (wikipedia.com). · For all interested on PETER's younger years in Shanghai, the interview in the program Day and Night is perhaps the most complete and interesting piece of historic review on MAX. From CUNY TV in YOUTUBE: Taped: in 12/05/73. "CUNY TV is proud to re-broadcast newly digitized episodes of DAY AT NIGHT, the popular public television series hosted by the late James Day. Day was a true pioneer of public television: co-founder of KQED in San Francisco, president of WNET upon the merger of National Educational Television (NET) and television station WNDT/Channel 13, and most recently, Chairman of the CUNY TV Advisory Board. The series features fascinating interviews with notable cultural and political figures conducted in the mid 1970's" ( http://www.youtube.com/watch?v=kdZJWV6eDFI ). Mr. Day interviewed Peter for 28 minutes, and obtained very personal points of view of the life of Peter in the very early SEVENTIES. I personally enjoyed very much a brief but concise recount of his younger years in Shanghai, and curiously, PETER does not mention the word Ghetto, and idealizes this Chinese city as the source of the genesis of his creativity, mentioning also how he was picked up daily by a Rickshaw that took him to school, and other details of his life that seem to be a bit unreal if compared to the harsh life that the Germans in some sort of exile lived during that decade. I will be mentioning this extraordinary interview in many sections of this book. · Thanks to PAUL ANGEL of Access Asia UK for providing me relevant information.